An effective ERP solution can be a transformative investment. Domain Consulting Group will work within the budget of your small manufacturing business to help you become more efficient and make faster, smarter, data-driven decisions that result in better business outcomes. Domain Consulting Group, an SAP partner, is an information systems consulting company located in Wyomissing and Philadelphia, PA. Our team of experts can help you define and implement an ERP system that is tailored specifically to your company’s needs, can be implemented quickly, is uncomplicated to maintain, and minimizes end-user training. The manufacturing industry is extremely fast-paced and competitive, requiring companies to react quickly to frequent scheduling changes, material shortages and resource capacity. Of all the software you could deploy, ERP can have the most direct impact on reducing costs, improving efficiency, streamlining operations, and improving customer service. SAP Business One for Manufacturing features incomparable scheduling, capacity planning, routes and operational functionality. It provides your manufacturing enterprise with a complete view of information and many automated processes to support materials management, warehousing, production and commerce. Among other benefits, SAP Business One can help your business achieve higher machine and labor utilization rates, reduced lead times and work in progress, more predictable delivery times and the ability to calculate accurate and reliable order margins. As you consider an ERP solution for your business, you should select one that offers the most value and provides the greatest return on your investment. SAP Business One can be integrated with IoT-enabled solutions, such as SenseIT IoT by Domain, to help you monitor the location and environmental condition of your shipments and maintain the quality of your goods and products from departure to destination. When your business manufactures products that can be damaged in transit by deviations from handling protocols, such as temperature, moisture, acceleration, tilt, shock, or other variables, the real-time visibility, tracking capabilities and condition monitoring of your shipments and assets can be invaluable. For companies that distribute products nationally and internationally, Domain Consulting Group also integrates SAP Business One with PaceJet, the most complete cloud-based shipping solution on the market. Instead of restricting your shipping options to a single carrier, the tool enables you to rate-shop multiple carriers for the best possible rates and create all of the necessary documents to process hundreds to thousands of shipments per day in batches, with scan-and-ship workflows – all on a single, sleek interface. PaceJet’s functionality is vast and includes the ability to create quotes, sales orders and purchase orders, scan verify products as you pack to minimize data entry errors, and print bills of lading, shipping labels, packing lists, and other required paperwork. Consider SAP Business One with PaceJet to reduce freight costs, improve customer satisfaction, and increase efficiency. 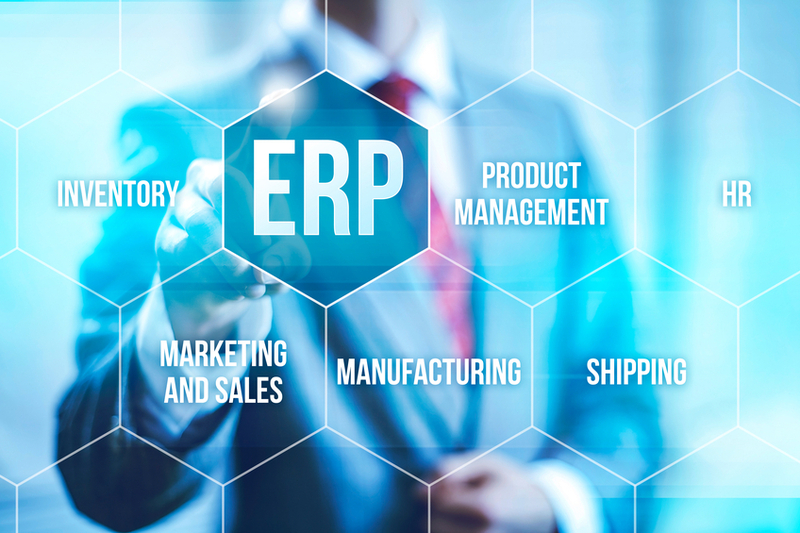 The ERP consultants at Domain Consulting Group can help your small manufacturing business achieve the best results from your enterprise resource planning solution. Call us today at (610) 374-7644 ext. 7005 for a free consultation and demo.